乡音无改鬓毛衰。Thinner has grown my hair, though I speak the same tongue. 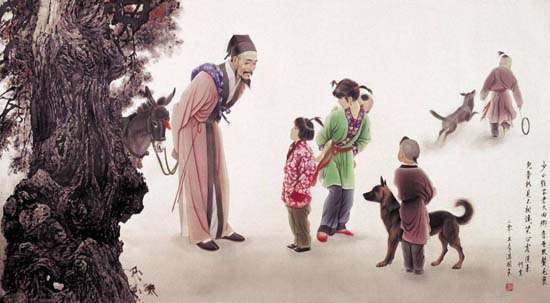 儿童相见不相识，My children, whom I meet, do not know who am I. 笑问客从何处来。"Where are you from, dear sir? " they ask with beaming eyes.